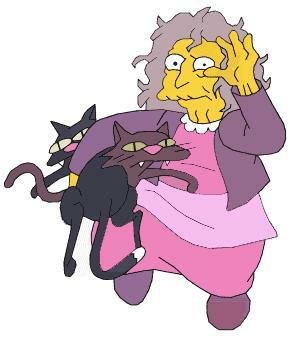 The Ally Escapades: Crazy Cat Lady? I never really thought it was a big deal. So, when today, a cat followed J back from the dumpster, I was pleasantly surprised and put a glass of milk out. Much to my surprise, the cat came inside and planted itself just inside the door, purring and falling asleep. Her behavior around people really led me to believe that she was a stray cat rather than a feral one and I started to make plans to take her to the local shelter to have her scanned for a microchip. She kept walking in and out but I wanted to keep an eye on her, just in case we ended up taking her to the shelter tomorrow. She wandered off and I wandered after her and lo and behold, four cats follow me. They drink the milk (special cat milk, of course) and drink the water and poke their heads inside. Sigh. I guess such is the double-standareded way of the world. And now next time, I'll be self-conscious when I'm looking out for a cat.